Save SAR 20 (25.32%) – Earn 6 Shukrans What is Shukran? Shukran is the Landmark Group’s award-winning loyalty programme in the Middle East, which allows you to earn Shukrans when you shop any of our brands. 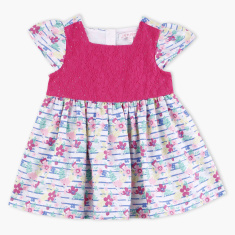 Get this beautiful and comfortable dress for your little girl and let her look adorable. This printed dress comes with lace detail, cap sleeves and square neck which makes it look attractive. 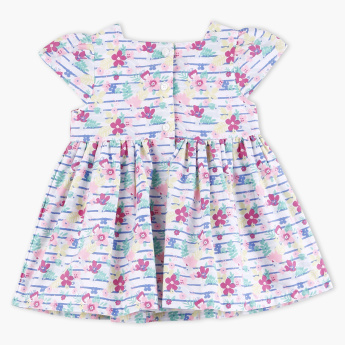 Button closure at the back ensures ease in changing.